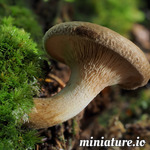 Miniature.io is a cloud API for capturing online resources as pictures. Project offers the simplest way to capture a snapshot of an online resource and display it as an image on your own website or application. Forget installing custom software on your server! With Miniature.io you can simply hotlink images directly from our API and customize experience to fit your project's needs. Since 2011 we have served billions of images for customers worldwide. Our goal is to convert any online resource to an image, that also means we can process online images. For example you can scale down or crop photos displayed on your website to save your viewers bandwidth and reduce page load time. You can use all these features directly on your website. With Miniature.io you can efortlessly render PDF document using a regular HTML website as a source. For example you can easily generate good looking PDF invoices directly from your website and provide a link to your customers. No need for any backend solution and you can try our API right away! Let's say you want to display a screenshot of some website on yours. 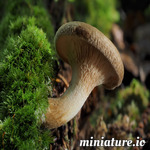 With Miniature.io API it is really easy. All you need to do is to use HTML's <img .../> tag and hotlink an image directly from api.miniature.io. We will take care of all the rest including rendering website's content and scalling it down. Copy the following code snippet into your website's HTML to display a screenshot of Ubuntu landing page. You can, of course, change the website to any other. Our API is publicly available and you can use it directly on your website or in your custom applications. In order to use it, you need to call one of the production endpoints. The Miniature.io API uses a simple HTTP Query syntax. You can use one of the endpoints and provide parameters to direct what API should do. If you don't specify any parameters API will return the default 300x300 pixels placeholder image. Full list of parameters is available in each section. Website Screenshots is the default mode of the Miniature.io API and is available at the default / endpoint. Before capturing content as an image, the Miniature.io API performs a check to detect type of content. If the remote resource is an image the Image Thumbnailer mode is being turned on. Following content types are currently supported image/jpeg, image/png, image/gif. Image Thumbnailer is available on the / endpoint. By default the fit mode is turned on. This is an experimental feature of Miniature.io. The Miniature.io API can convert Website Screenshots to PDF. Quality of the result depends greately on the rendered website, if you intend to use this feature in your own applications, we recommend to keep the source HTML as simple as possible to avoid PDF rendering issues. The PDF Renderer is available on the /pdf endopoint. Rendering PDF will block API to ensure the PDF is returned, there is no placeholder. In case of error a JSON response is being returned with details about the problem. Rendering time depends on the remote content download speed. Following parameters apply to Website Screenshots and Image Thumbnailer. URL of the resource, if not specified a default 300x300 image will be displayed. If URL does not start with http:// or https:// the http:// is added. Size of the output image in pixels. Following parameters apply to Website Screenshots. 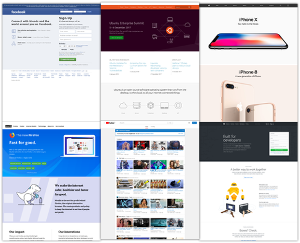 Size of the screen for a website screenshot. if value is a number it is aligned to the nearest greater size. How long to wait for a website to render? Value is in seconds. How to crop an image if the remote resource is a picture. fit - Keep aspect ratio and crop to the maximum size with gravity in the center of the image. 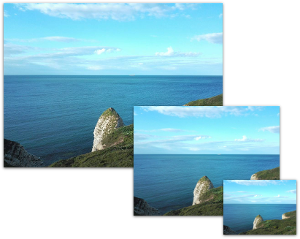 resize - Resize input image to the requested size without keeping aspect ratio.